Reason being I had a massive lie in until the afternoon. I’m not sure why as I’ve been in a sparklingly efficient routine the past few weeks. Alas, now I’m awake way later than I probably should be. In other news I now have my new mixing desk set up to work with my existing recording system (if you could have called it that…) so I’ve been able to fiddle around with my electronic tracks with comparative ease. This evening I’ve been working on Primary Concern and it’s finally beginning to take a more interesting shape rather than just being a flat beat (and not in the good, Mr. Oizo sort of way). Oh, and the picture? I was just browsing Facebook and thought I’d check out that Jessie J character’s fan page. I saw she was BBC sound of 2011 artist and I thought I should get in on that photo editing action. So, there I am! 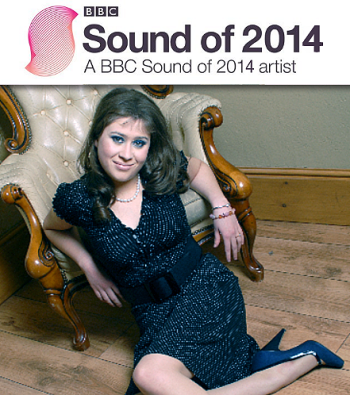 The BBC doesn’t know it yet, but Caryl Archer is the Sound of 2014. That gives me 2 -3 years… Yikes. Blogging at 2 am!!! Man if I didn’t do it then, when the heck else would I do it? Great Photoshopping job though! You definitely look like you belong there!